Ernesto Valverde has admitted that he is wary of Manchester United’s ability to score late goals. The Red Devils are set to visit Camp Nou for the second leg of their Champions League quarterfinal, with the first leg ending 1-0 in Barcelona‘s favour. Ole Gunnar Solskjaer’s men will need to score at least twice to proceed to the semis in normal time, whereas a single equalizing goal would take the game to a penalty shootout after 30 minutes of extra time. While the Catalans remain the favourites to win the tie, their manager Ernesto Valverde has once again urged caution, as he is well aware of the Mancunian giants’ tendency to score late goals. Speaking about his game-plan for Tuesday, Valverde stated: “We know the opposition will want to counter-attack us but we won’t let that happen by playing well with the ball and moving the ball quickly. “It’s not a defensive question, it’s more about going forward. It’ll be important how we start and finish the game. United in the last minutes have something special. We’ve seen that at the Camp Nou before. 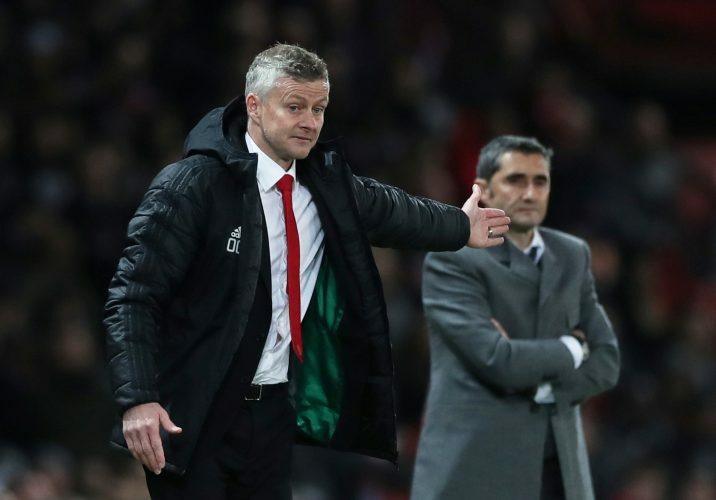 Valverde was then asked about the significance of the last-minute goal Solskjaer scored against Bayern at the Camp Nou back in 1999, to which he replied: “We all take reference from what has happened in the past and use it to influence the future. “But I’ve seen their games and I’m more about writing our own destiny. Tomorrow we’ll look for our destiny and Manchester United will do that too. They have great spirit and players. If you give them space they can play well. They run well.